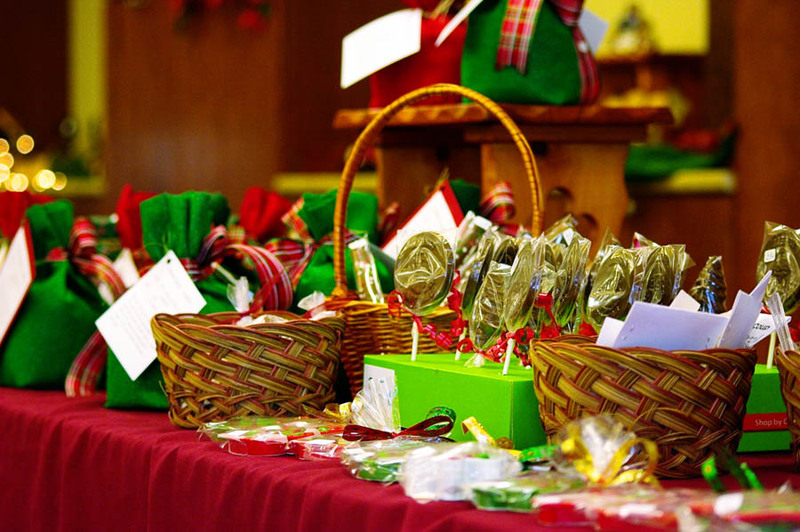 The Episcopal Church Women of Trinity Church provides opportunities for fellowship and service to all women of the parish and the greater Watertown community. Annually, the ECW leads Trinity in both the school supplies drive and the hats and mittens collection for Watertown Urban Mission. Each September, the ECW hosts a luncheon for those in our parish who are 80 or older. 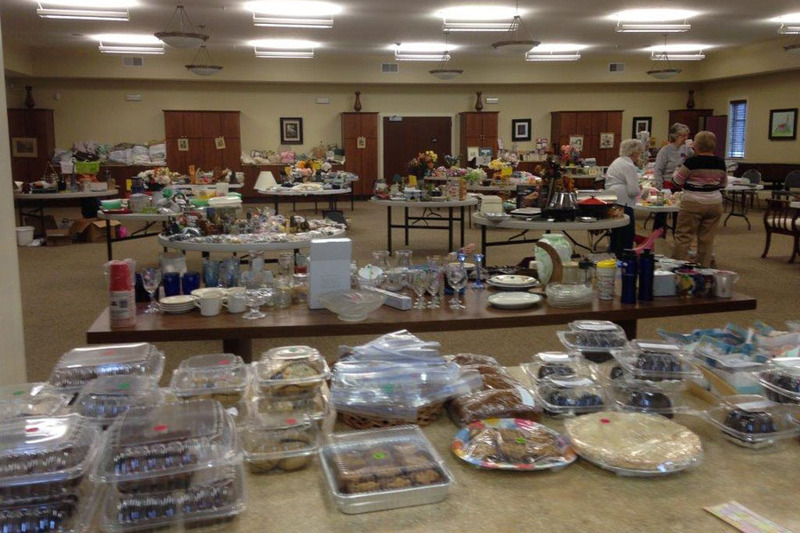 The group also holds a spring rummage sale and a holiday bazaar, raising funds that are distributed to local, regional and worldwide organizations. Partnering with the IHC “Knit In” project, Trinity ECW has made crib blankets for Chinese orphanages and hats and sweaters for Syrian children living in refugee camps. The group has also been involved in mission projects with Watertown’s First Presbyterian and Concordia Lutheran churches. Pillowcases (100) have been made for the opening of a girls school in Africa, and financial support has been given to the Women of Grace project in Malawi. Hundreds of dresses have been sewn and donated to the “Dress a Girl Around the World” project. Hats and scarves have been made and shipped to “Operation Gratitude” to be distributed to first responders, veterans and wounded heroes. 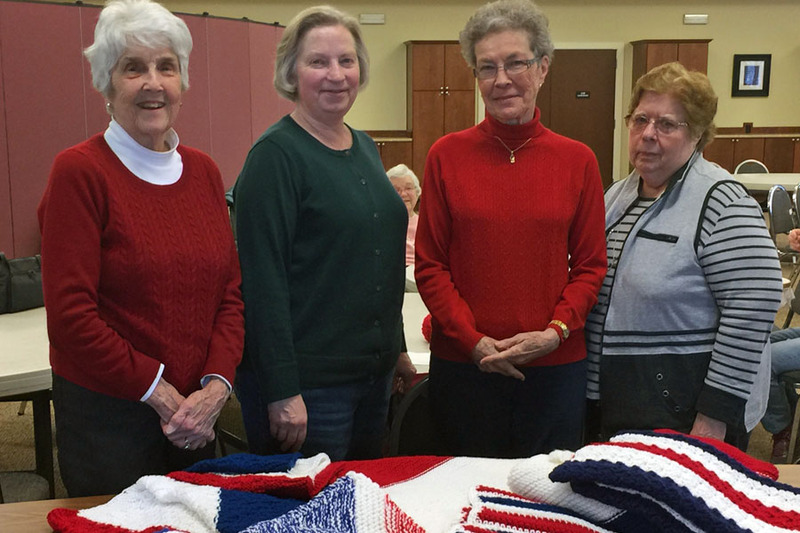 The ECW Ministries and Coffee Klatch community began as the Prayer Shawl Ministry, creating prayer shawls to be delivered to those experiencing challenging life situations or celebrating happy occasions. The ministry’s focus quickly widened to include not only prayer shawls, but lap robes, chemo caps for North Country Oncology, helmet liners for soldiers at Fort Drum, hats for newborn babies at the Maternity Place at Samaritan Medical Center, pocket prayer cloths, and fleece blankets for the Victims Assistance Center of Jefferson County. Lap robes, prayer shawls, and red-white-and-blue blankets for veterans have been made and donated to Hospice of Jefferson County. ECW Ministries and Coffee Klatch meets from 10 a.m. to noon Tuesdays in the Parish Hall, except on holidays or when Watertown schools are closed because of inclement weather. Whether you knit, crochet, sew, or not, the group welcomes all women in the community.